Could this be a kind of answer? Huge wads of silence stuffed the air. He was staring around for the dog then realized they hadn’t had a dog for years. Clock in the kitchen said quarter to six. 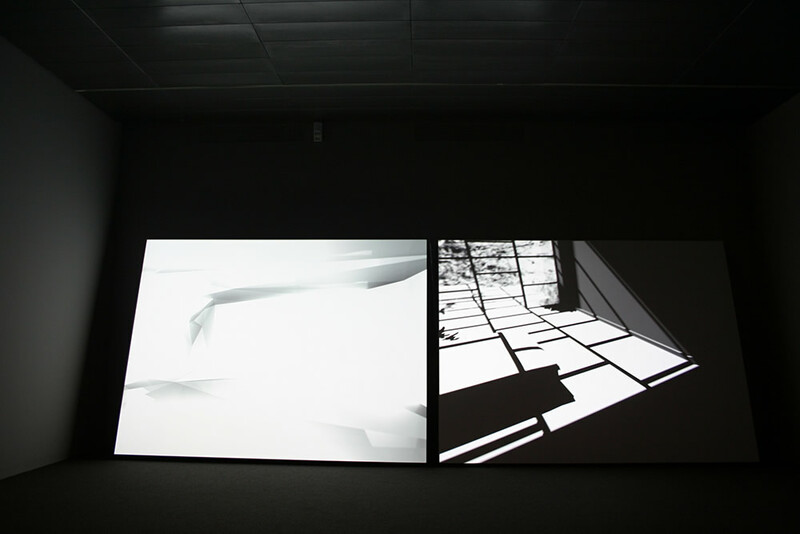 Crystal World (after J. G. Ballard) is a double channel projection first shown at the Sao Paulo Biennial 2006. In the 3D animation a universe is constructed with architectural structures and a jungle that slowly crystallize. A text, generated from a letter written by the protagonist in J.G. Ballard’s novel The Crystal World (1966), describes a zone of entropy, a process of transformation and crystallization. The animation moves through spaces combining architectural elements of Lina Bo Bardi’s Casa de Vidrio and Oscar Niemeyer’s Matarazzo Pavillion, both in Sao Paulo. The Dead Tree (1969) by Robert Smithson and Untitled, Rope Piece (1970) by Eva Hesse are also installed and re-activated in the animation between other references. The Lislegaard piece is quite fascinating – a wonderful new discovery for me as I am interested in concepts of space. Inaccessible space is an intriguing aspect to ponder on.